There are many things I have done in my life: working in a top London recording studio, creating two business startups, Banking and Investment, and travel technology. Having worked in Travel Technology for 20 years you would imagine that I am well travelled. Well because you work in it, it doesn’t mean you do it. Many of my close friends think I have led a charmed life but although I have worked with some of the rock stars of the 70’s, enjoyed the fruits of banking in the 80’s and set up 2 travel software companies, I am still unfulfilled. 1. Route 66 I have always wanted to ride a Harley Davidson all the way from Chicago to the west cost. With this fabulous tour from Trafalgar you can enjoy the #TrafalgarInsider experience the best barbecue sauce from a local family and learn bocce. 2. I have always wanted to go to India to sample the sights, sounds and tastes of the earths most colourful country: India. Imperial Rajasthan with Insight Vacations is the only way to experience this wonderful country. 3. Where better to live like a King than Ireland’s Ashford Castle. Enjoy country sports and stay on one of the unique bedrooms enjoying a luxurious bath before dinner. The magnificent five star Ashford Castle is set in 350 acres, on the picturesque shores of Lough Corrib. Dating back to 1228 and now beautifully restored to it’s former glory. 4. For me Japan is a must see. I have only enjoyed reading about Japan and would love to experience Japan’s imperial palaces, mountainous national parks and thousands of shrines and temples. Wander through the streets of Tokyo to feel the buzz of the city. There is no better way to enjoy Japan than to hop on the Splendors of Japan from Trafalgar. 5. Next I want to join Lion World to experience the wonder which is Victoria Falls. They say the ONLY way to see the falls is by Helicopter and this is part of Lion World’s magnificent tour. A touch of White Water Rafting followed by Traditional African fare at The Boma Restaurant. 6. After completing the above 6 tours I can think of no better tour than Uniworld’s Luxury cruise the European Jewels. 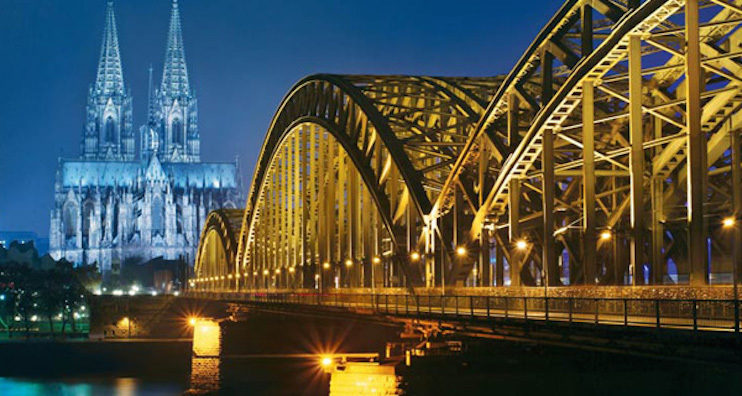 Embark on a history-steeped, perfectly paced European journey that takes you through four countries along three great rivers: the Danube, Main, and Rhine. 7. Once you have a taste for river cruising then why not experience the Timeless Wonders of Vietnam, Cambodia and the Mekong. Imagine the 60’s as you amble up the Mekong past Hanoi, Ho Chi Minh City, and Phnom Penh, to the floating villages of the Mekong. See the fascinating and terrifying remnants of the ravages of war, from the Cu Chi Tunnels in Ho Chi Minh City to the Killing Fields of Choeung Ek. This is a MUST see for me. 8. Cold, clear and beautiful. Next I want to see Classic Antarctica. Once a place only intrepid explorers could go and now available to us all from the wonderful Adventure World. Watch penguins, seals, whales and other wildlife in their natural habitat. 9. Trafalgar’s Land of the Incas tour takes in the incredible Sacred Valley of Machu Picchu. Somewhere I have to have on my bucket list – When I get there I will take off my walking boots out of respect to the Inca who used to walk barefoot, because they wanted to be in touch with Mother Earth: with the sacred ground. I heard to visit Machu Picchu is one of the most amazing experiences of all time. 10. Ok so I know I am past 35 and too old for a Contiki Holiday. But this one is for my 18 year old daughter Becky, and seeing her enjoy this through the eyes of social media will make me very happy. What better trip than to Australia. Becky will have #NOREGRETS when she stays in nothing but comfort & style – no exceptions. With centrally located hotels, WIFI as standard, breakfast daily and unique Special Stays like sleeping in a swag under the stars on Kings Creek Station or kicking back in a Whitsundays Island resort, Becky is guaranteed that extra wow factor! 11. With a past life in rock music my top ten can surely go to “11” and so when my #TTCTopTen is over I want to chill out at the amazing Chesterfield Palm Beach. Enjoy the Designer Boutiques in Worth Avenue and sample wines from the Bouchard Finalyson winery, makers of some of South Africa’s most distinguished wines, and take a transfer in the Rolls Royce to my next experience wherever that might be. Go on, what’s on your bucket list – why not find your perfect #ttctopten ? This entry was posted in #InsightMoments, #NOREGRETS, #TrafalgarInsider, #TTCTopTen, Bucket List, Mobile, The Travel Corporation, Travel and tagged Red Carnation Hotels on May 10, 2015 by Jon Pickles.